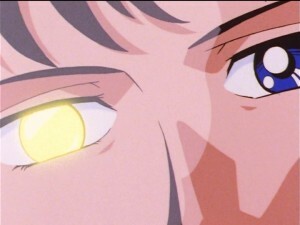 The two latest episodes of Sailor Moon Sailor Stars were added to Hulu and Neon Alley this morning. This week we get episodes 168 and 169, which takes us half way through this 6 episode mini arc which starts off the season. 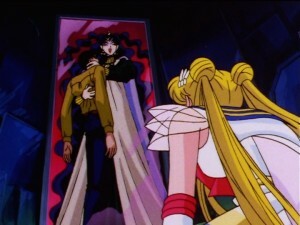 Sailor Saturn finally returns and then the town is enthralled with mirrors for mysterious reasons. 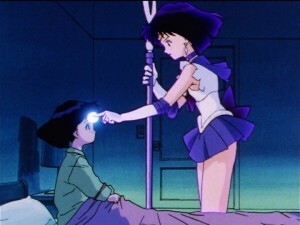 Episode 168, Saturn Awakens: the Ten Sailor Guardians Unite, gives us more Sailor Saturn than we’d previously seen in the entire series! 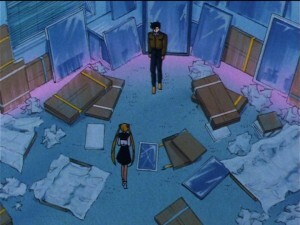 We had only seen here briefly at the end of Sailor Moon S before she was turned into a baby. She has been growing at an astonishing rate and seems to be developing the language skills to go with it. 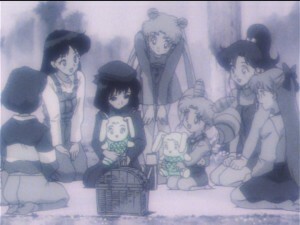 Judging by what is happening with Usagi and Mamoru it doesn’t look like much time has passed at all since the last episode, so there’s really no implication that Hotaru could have possibly learned all of these things at a normal rate. 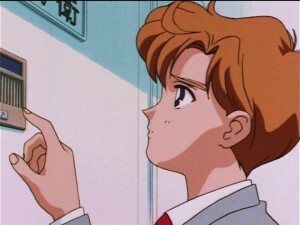 She is speaking easily, referring to her three parents as Haruka Papa, Michiru Mama and Setsuna Mama. 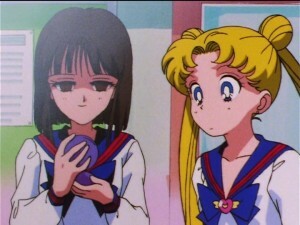 At night Hotaru is visited by the ghost of Sailor Saturn who gives her the memories she had lost. This insinuates that her functional memories returned as she aged but her specific memories of her life are unlocked all at once from her alter ego. 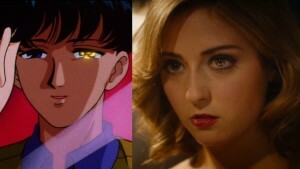 She remembers many things including her relationship with Chibiusa. How sweet! 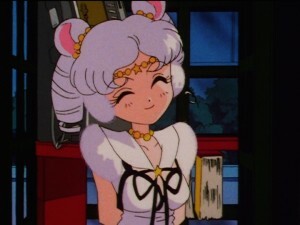 It would be a shame if Chibiusa would leave and never return in a few episodes. 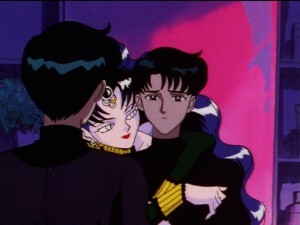 Another thing she sees is a memory of Sailor Uranus, Neptune and Pluto, who are now her parents, trying to kill her. She doesn’t struggle with this at all. 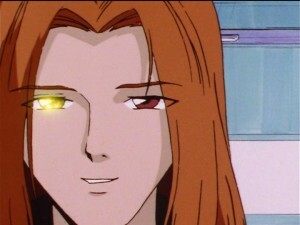 She also has no bad feeling when seeing her loving father who is still very much alive and was recently separated from her. So Hotaru transforms into Sailor Saturn. We need a monster so this week we still have these Nehelenia glass monsters. 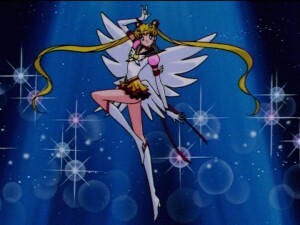 Sailor Moon powers up into Eternal Sailor Moon and uses an attack which resembles, but is not named, Starlight Honeymoon Therapy Kiss. This is done with her new weapon the Eternal Tiare. This doesn’t last long.